The 2016 Toyota Tacoma has been announced, and even drivers who thought the previous model was perfect will love the updates. For the newest model year, the Tacoma was completely rebuilt, both inside and out, improving the frame, engines, toughness, and durability. Best of all, the design, engineering, and assembly of this vehicle take place in North America. The engineers from Toyota Technical Center, located in Ann Arbor, Michigan, were the brains behind the 2016 Tacoma. They began their updates with the frame, enhancing its strength and rigidity with the addition of high-strength steel. They then used a hot stamping process to add ultra-high-strength steel to the body shell while still reducing weight. The result is a stronger frame and body structure that is more durable than ever before, handling tasks on and off the road. When selecting your 2016 Toyota Tacoma, you can pick the 2.7-liter 4-cylinder engine or the 3.5-liter V6 with an Atkinson cycle, a segment first. No matter which engine you select, it will work with a 6-speed automatic transmission that has an electronic shift. If you go with the V6 engine, you could select a 6-speed manual transmission instead, depending on your preference. Even the styling of the Tacoma has been updated for the 2016 model. Although you can see clear links between the Tacoma and the Tundra, the smaller pickup also received inspiration from desert racing. This inspiration led to muscular wheel flares that improve wheel travel. The hood is taller and features more muscle, matching the bold upper grille. With the new tailgate’s locking abilities, the Tacoma takes another step forward to maintain its tough image. 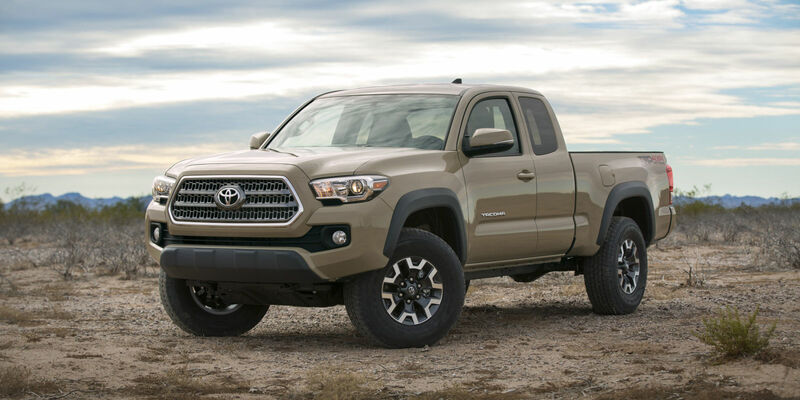 If you want to learn more about plans for the 2016 Toyota Tacoma or find out when you can expect to see it near you, talk to the team at Thomasville Toyota in Thomasville, Georgia.